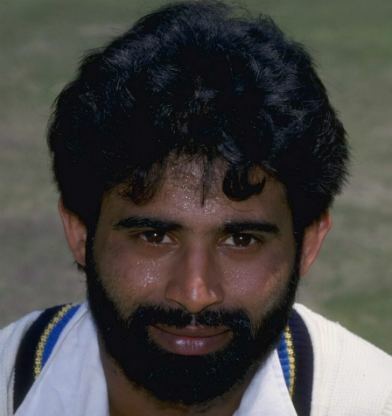 Chetan Sharma pronunciation (born 3 January 1966) is a former Indian cricketer, who played Tests and ODIs as a medium pace bowler for Indian cricket team. Sharma was coached by Desh Prem Azad, a Dronacharya Award winner, who was also the mentor of Kapil Dev. 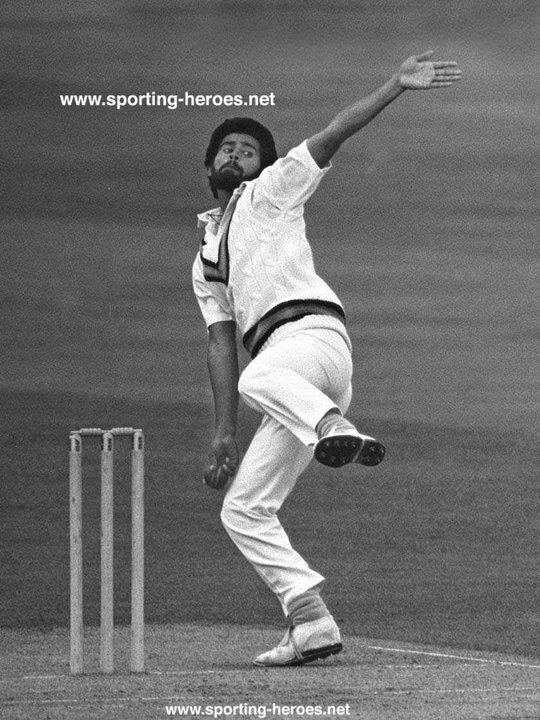 Being 6' 3" tall, the bearded Sharma was one of the fastest bowlers in India during the 1980s. He made his first class debut for Haryana at the age of 16 and appeared in One Day Internationals a year later. 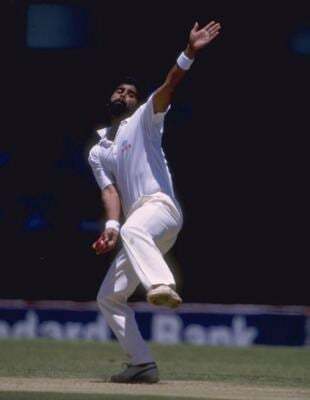 Making his first appearance in Tests against Pakistan at Lahore in 1984, he bowled Mohsin Khan with his fifth ball - becoming the third Indian to take a wicket in his first over in Test cricket. 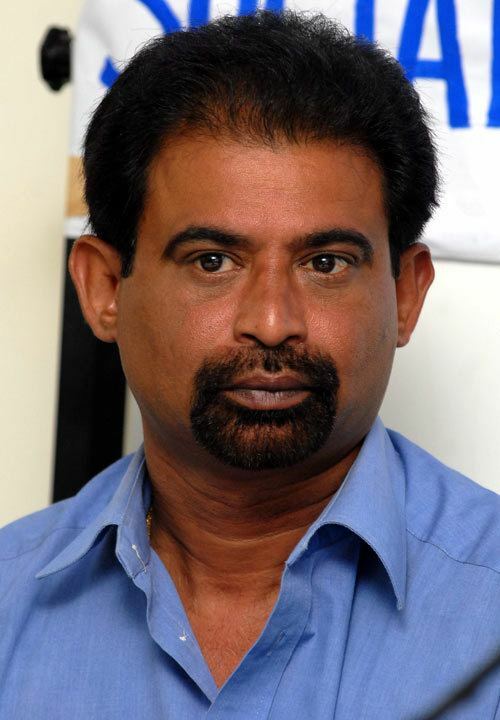 He took fourteen wickets in the three Tests in Sri Lanka in 1985. Later that season in Australia, with India needing a win in the last match of the league to qualify for the final of the World Series Cup, he played a match-winning innings of 38*. 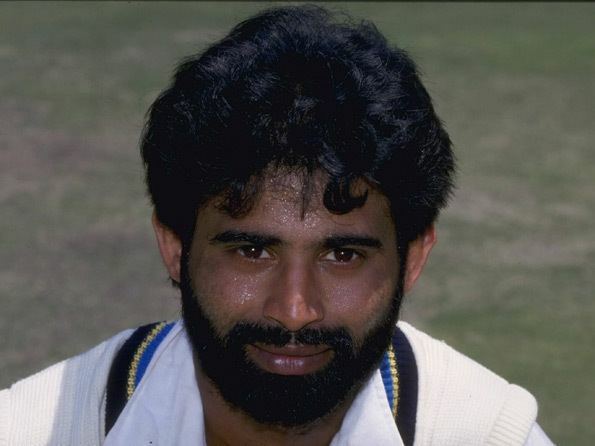 Sharma was an important member of the Indian team that defeated England 2-0 in 1986. He took sixteen wickets in the two Tests that he played. He took 10 wickets at Birmingham, including a career best 6 for 58 in the second innings. It remains the only ten wicket haul by an Indian in England. Though only twenty at this time, he picked up frequent injuries which restricted his career. When available, he was the first choice as the opening bowler with Kapil Dev for the next three years. 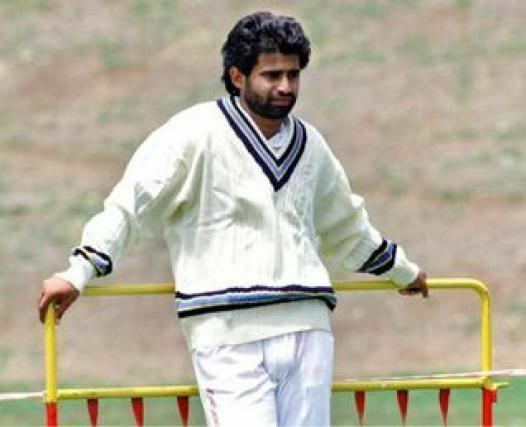 For his ability to get useful runs down the order that too at quick rate, Chetan was seen as a natural successor to Kapil Dev in the all-rounder category. By the early nineties, his bowling dropped in pace and its sharpness and his strike rate had dropped considerably especially on Indian grounds. In the Reliance World Cup in 1987, Sharma took the first hat-trick in the history of tournament when he clean bowled Ken Rutherford, Ian Smith and Ewen Chatfield of New Zealand off consecutive balls. He played the most noted innings of his career against England in the Nehru Cup in 1989. Sent in at No.3 with India facing a target of 256, he scored a 101* in 96 balls, completing his hundred with the match-winning run. He made another important contribution in India's win against Australia in the next match, sharing an unfinished partnership of 40 runs with Manoj Prabhakar and ending the match with a six. But his bowling had waned considerably and he was excluded from the tour of Pakistan a few weeks later. Sharma received few opportunities thereafter. In one of his last international appearances, against New Zealand in a three nations tournament in 1994 he ended up with figures of 1-0-23-0 after being hit for five fours off consecutive balls by Stephen Fleming. He moved from Haryana to Bengal in 1993 and stayed there till the end of his career in 1996. Sharma is also infamously remembered for bowling the last over in the final of the Austral-Asia cup in Sharjah in 1986. With Pakistan needing four runs off the last ball to win, he bowled a low full toss outside the leg stump, which was hit for six by Javed Miandad. That defeat exasperates many Indian cricket fans to this day. After his retirement, Chetan became a cricket commentator. He opened a cricket academy in Panchkula in Haryana in 2004. Chetan is the nephew of the former Indian cricketer Yashpal Sharma. Chetan contested the Lok Sabha (2009) polls from Faridabad on a Bahujan Samaj Party (BSP) ticket.